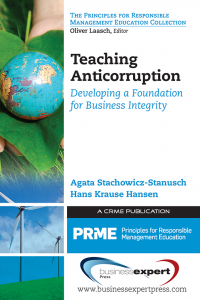 The need to embed business ethics in the teaching of management disciplines has at times given rise to a debate as to whether ethics should be taught as a standalone cause or in an embedded manner. So far, the majority of the opinions favors a consensus that both approaches are relevant and should be used complementarily for optimal results. 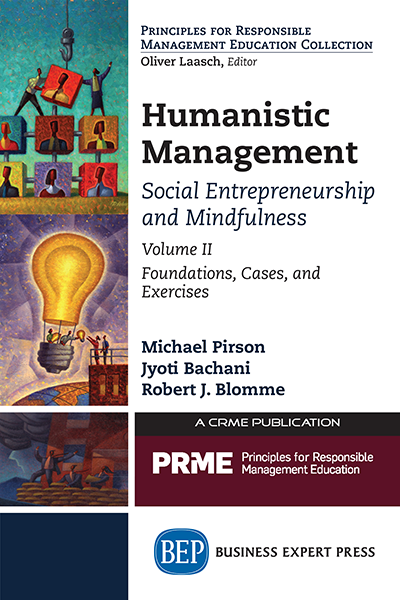 This book goes beyond the current literature by providing unique insights into the experience of seasoned academics regarding embedding business ethics into their teaching of the practice of management. Contributing scholars are featured from the following business disciplines: Decision-Making, Entrepreneurship, Finance, Management Information Systems, Negotiation, Operations especially Supply Chain Management and Service Management, Marketing, Management Accounting, Financial Accounting, Strategy, Organizational Behavior, Human Resources Management, Management Communication, Team Building, Leadership, Business Law, Macroeconomics, and Microeconomics. 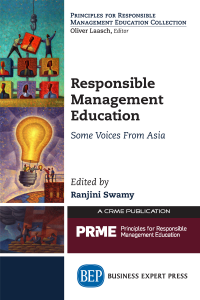 The book provides faculty in business schools with knowledgeable discourse about the ethical issues within their fields. The book fits into Area 1, educator guides, of the PRME Collection, as a supplementary textbook for the business student (to highlight the ethical dilemmas for all the different managerial functional roles covered in the book). 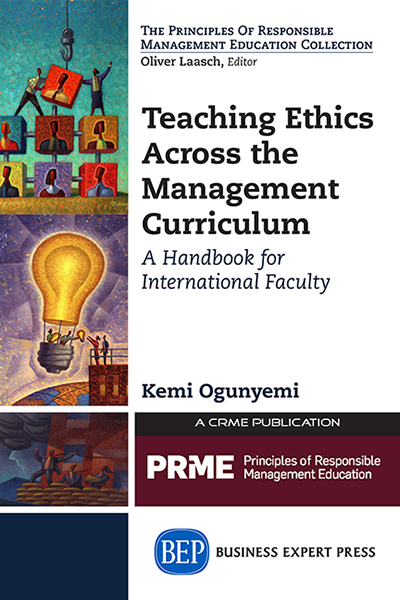 For example, a chapter on embedding ethics in teaching operations management would be used by faculty and students as a supplement to the usual textbooks for operations management courses.